Our beer bike tours usually roam Budapest’s city park and the famous Andrássy avenue - but what can you do in the area before or after your pedalbar ride? With the famous Heroes’ Square just next to the meeting point, this downtown location has a surprisingly lot to offer! 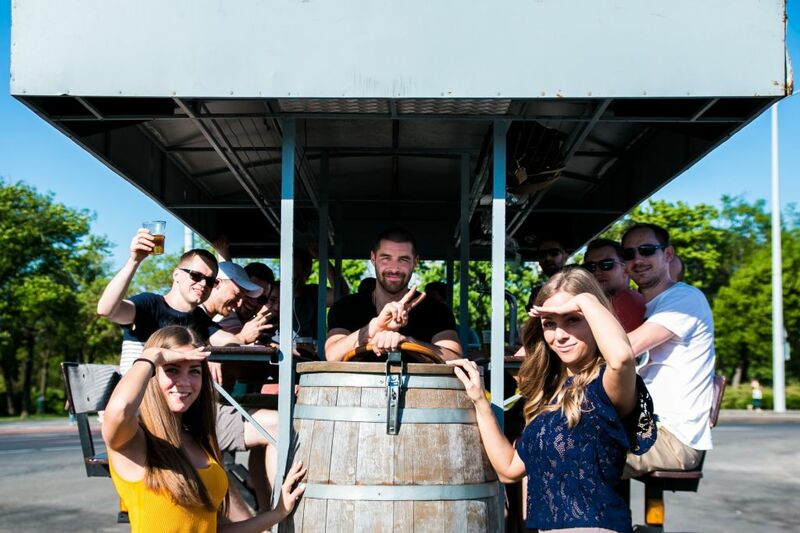 Buckle up as we tackle the best attractions around the Beer Bike Budapest meeting point! To avoid any misunderstanding - the meeting point is just in front of the Budapest Ice Skating Ring, on the Olof Palme Way, just next to the ‘Hősök tere’ (Heroes’ Square) trolley stop. The ring is on the right side of the square and is open from fall to spring. They have an immense ice skating ring, and with a piping system running underneath dedicated to keep the ring freezing, you can always count on smooth, open ice, welcome for all! Next to the meeting point is the Contemporary Art Gallery of Budapest. Known for its great temporary exhibits, the gallery is always worth a quick visit. Since we are on the topic of museums, on the opposite side of the square lies the Museum of Fine Arts (some of it is under renovation). Check out their website for the latest information on what to see! In front of Heroes Square lies the endless Andrássy Avenue, known for two things. First, this is where the famous House of Terror museum is, which showcases the troubled history of Hungary under Communist and Nazi oppression. Secondly, the Avenue is now one of the most luxurious areas of Pest, housing several embassies. Take a stroll in the area and marvel on the lushly decorated buildings - a must do for architecture buffs! One note, though, it is advisable to visit a museum BEFORE your Beer Bike Budapest experience, since not many institutions like visitors who are burping up fine beer. Just a thought.